PetScanner - Find. Scan. Reunite. 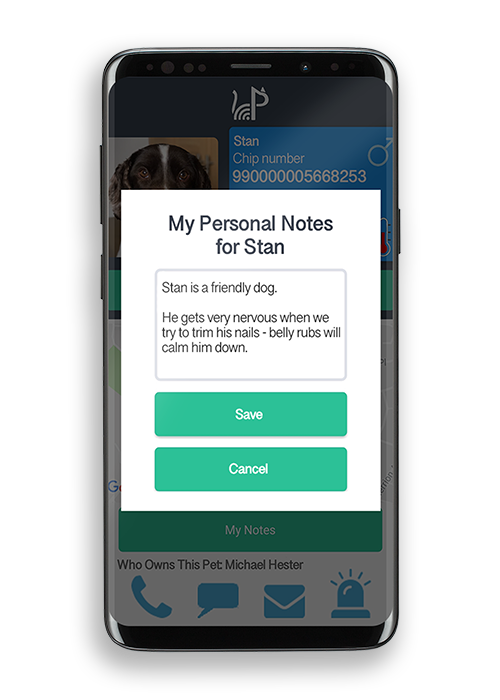 PetScanner is the world's first microchip scanner directly linked to a live worldwide pet database, making it simple and easy to reunite our pets. 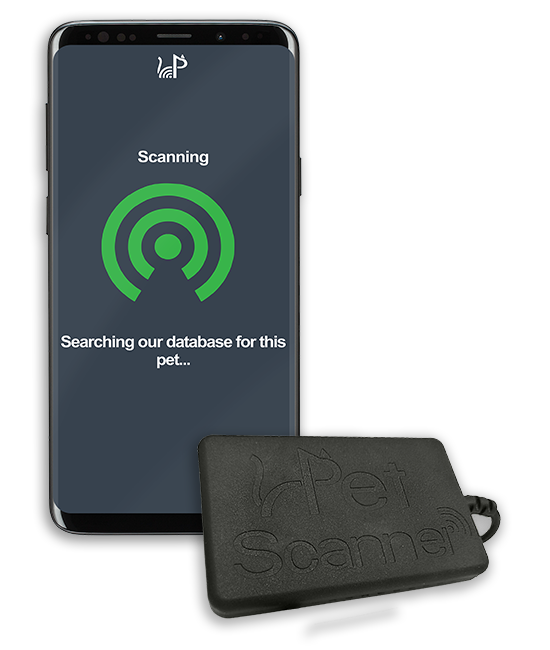 PetScanner can be used as a basic microchip scanner to identify any chipped animal and/or you can protect your own pet with PetScanner Pet Protection for the smartest and easiest way to keep your pet safe. 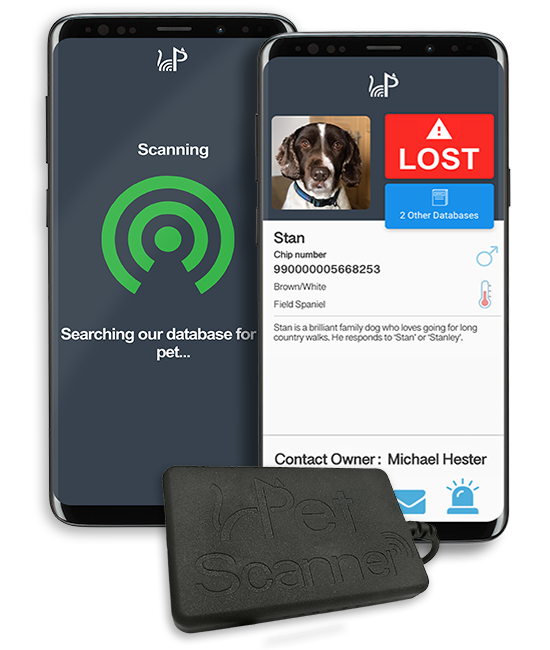 Paired with our free app, our PetScanners can scan any 15 digit microchip and instantly identify any chipped animal. 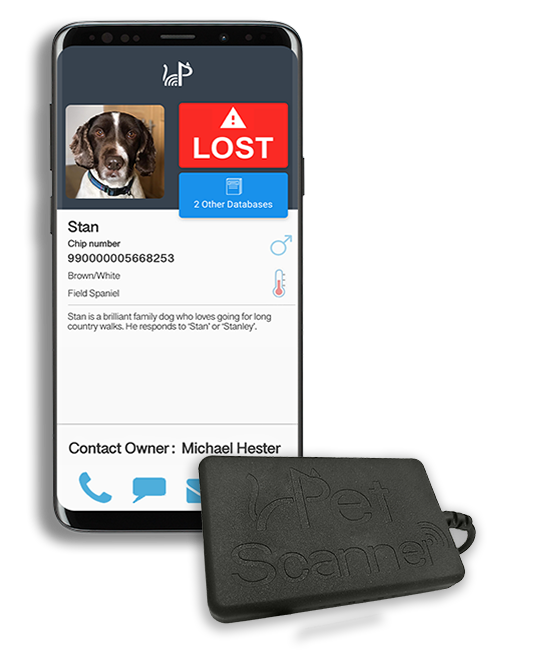 PetScanner-registered owners can be instantly contacted & reunited with their pet at the tap of a button! 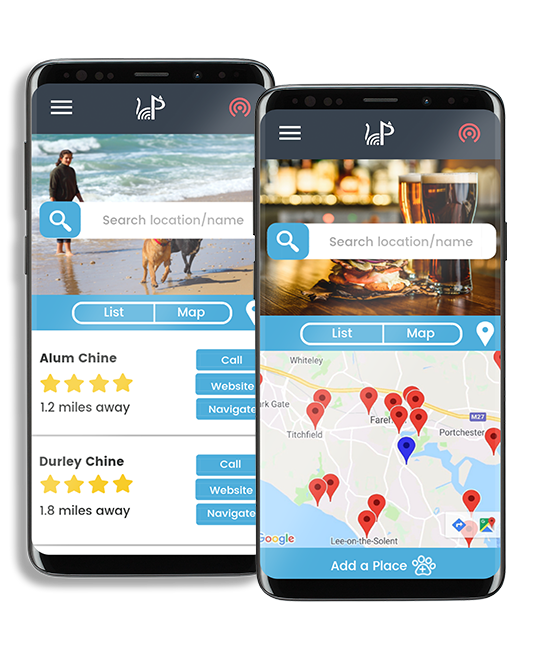 We provide the most advanced pet protection which includes pawsome benefits such as receiving an instant notification telling you where your pet has been scanned and who by - this gives you the best chance of reuniting with your companion if they ever go missing. 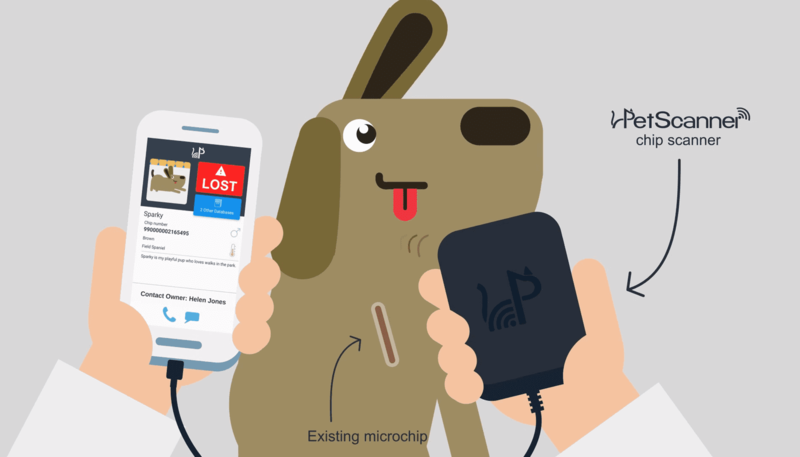 PetScanner is the world's lowest cost pet microchip scanner at just £9.99. 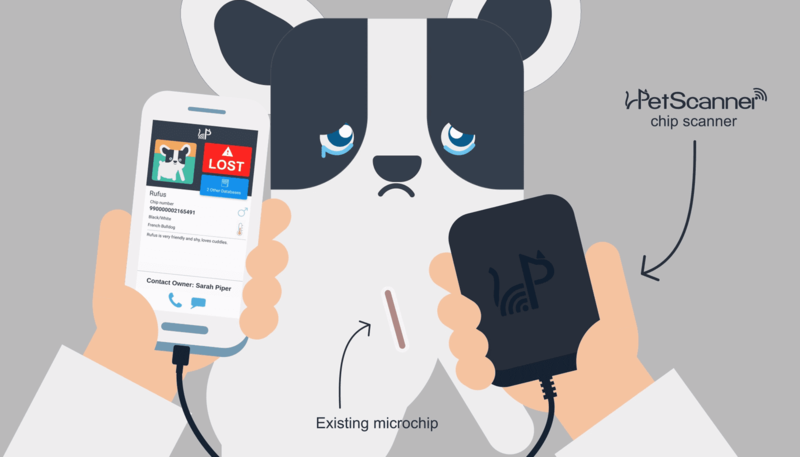 Paired with our free app, it is compatible with Android phones and scans all FDX-B pet microchips (15 digit). 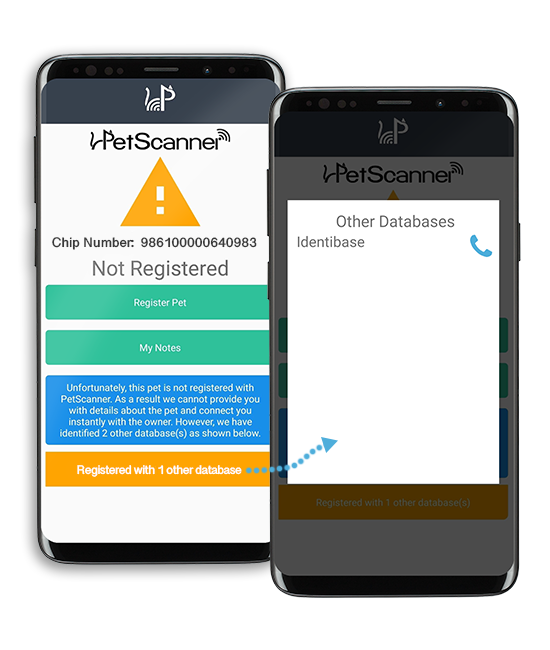 Upon scanning, the pet's chip number, registered UK database (and database phone number) is shown and, if the pet is registered with PetScanner, we will also provide the owner name, number & email so you can reunite the pet & owner at the tap of a button! The owner can also phone, text or email the person scanning and see where their pet was scanned. 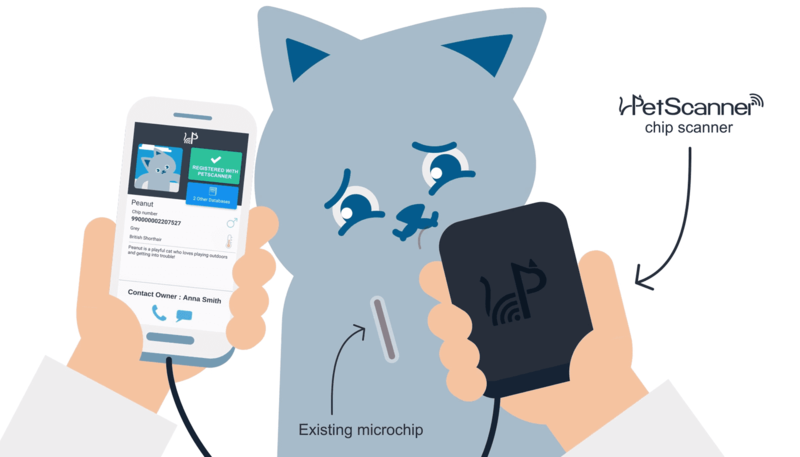 When any microchipped animal is scanned with a PetScanner, the microchip number and registered database(s) is shown, along with the contact number for the database, so you can call them at the tap of a button! Receive an instant notification if your pet is ever scanned with a PetScanner. 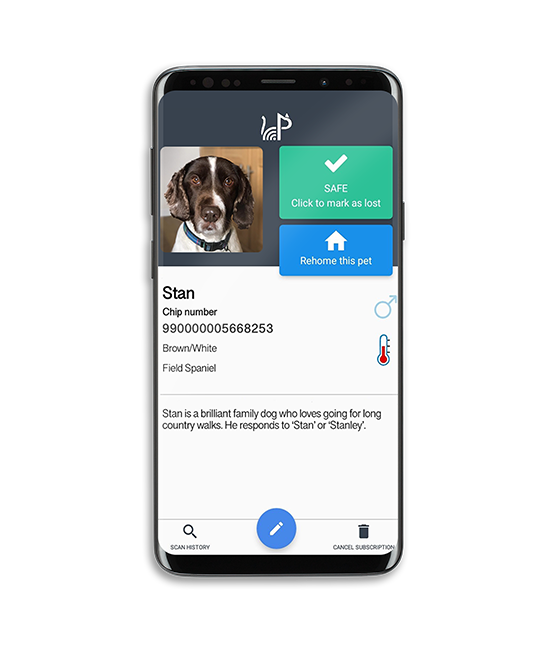 You will also see where your pet was scanned and who by, so you can call, text or email the person that scanned your pet (and vice versa). 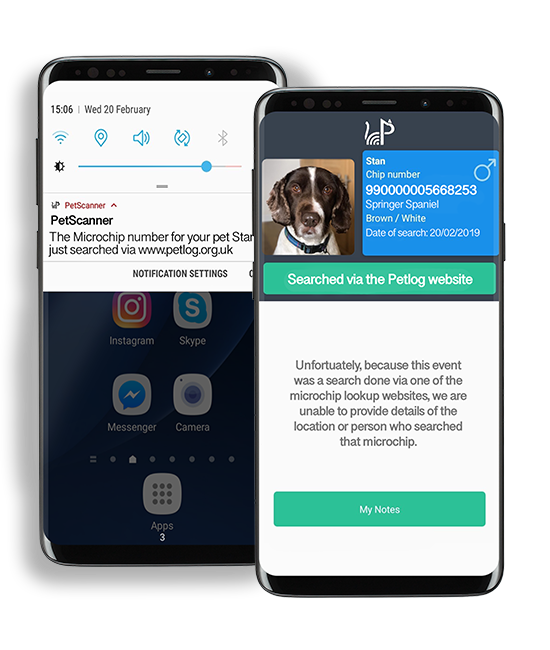 Receive an instant notification when your pet's chip number is searched online with any other DEFRA-compliant lookup tool, including Petlog. See when the chip was searched and the database it was searched on. View your pet’s previous microchip search records, including searches done via DEFRA microchip lookup tools, such as Petlog. The scan history provided is for scans made with a PetScanner. You can view your pet's search & scan history all the way back from August 2018. Mark your pet as lost if they ever go missing and all nearby PetScanner users will be notified. 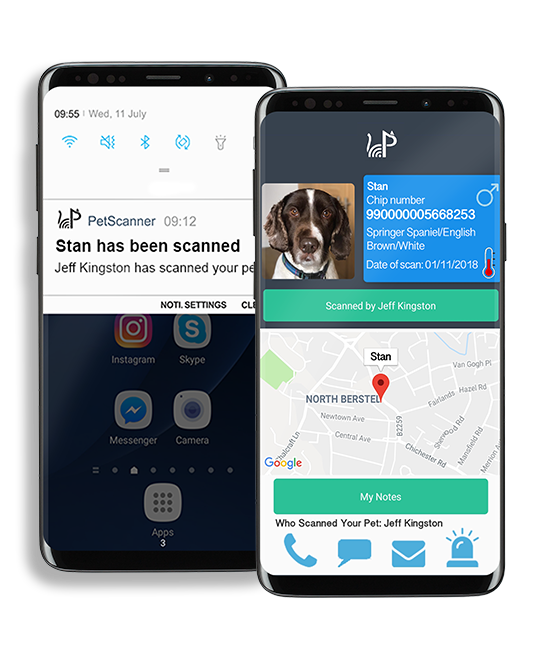 If a user scans your pet, you can see where they were scanned, who scanned them and you can also contact the person scanning by phone call, text or email at the tap of a button (and vice versa). If you own a PetScanner chip reader, you can see your scan history. Click on a scan for a reminder of where the scanning took place and, if the pet was registered with PetScanner at the time of scan, the owner phone number & email address. Make personal notes on each animal you scan to keep a log of their activity & behaviour. Notes are only visible to you and they can be viewed in your scan history, or when you scan the animal again. This feature is great for dog groomers, walkers & kennels, as well as personal use! Thousands of pets go missing every year. Devastatingly, 1 in 8 of lost dogs that remain unclaimed face the threat of being put down. This is mainly due to their owners not updating their contact details. 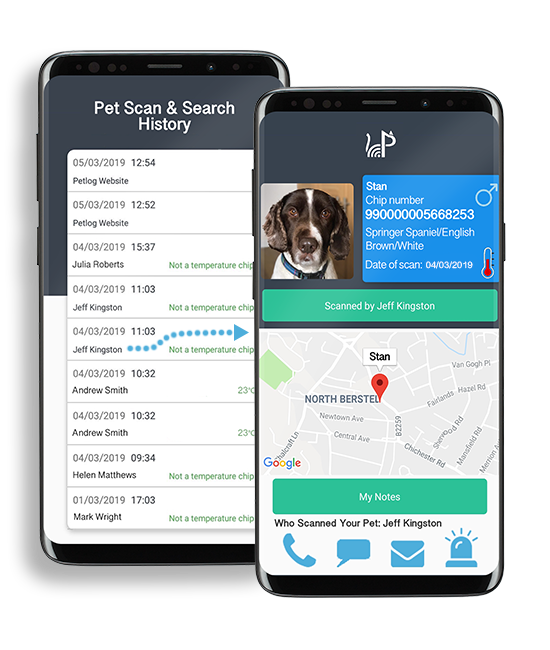 While this is an ongoing issue with current pet databases, PetScanner is free to update your details, ensuring you can always reunite with your pet if they are ever lost or stolen! We've found that around 60 dogs are stolen every week, with only 1 in 5 dogs ever being recovered. Because of this, we've made sure PetScanner avoids fraudsters using fake documents that show a false microchip number, so you can ensure you are buying from a responsible breeder. Thousands of our pets are involved in accidents every year. Sometimes, we may not know immediately when or where these accidents have occurred. 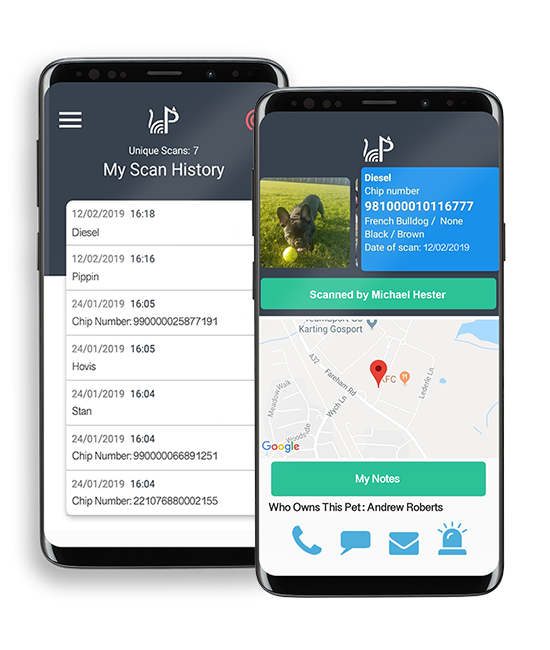 Consequently with PetScanner, anyone can scan the microchip of your pet, notifying you immediately of your pets whereabouts with the contact details of who scanned their microchip. Sign up to receive exclusive offers and the latest news from PetScanner! Thank You! We've added you to our email list! © 2019 PetScanner. PetScanner Ltd and the PetScanner design are Trademarks of PetScanner Ltd. All Rights Reserved. Patent Pending. Please make sure your Android device is USB/OTG (On The Go) compatible before purchasing a scanner - you can do this by downloading the app from the Play Store. If your device is not compatible, the PetScanner app will not appear on the Play Store. Internet connection required.